Welcome To Your Senses: Nandhakumara ! Nandhakumara ! Mazhai Neer Sudadhu Theriyadha ? Nandhakumara ! Nandhakumara ! Mazhai Neer Sudadhu Theriyadha ? Munnai Itta Thee Muppuraththile ! Pinnai Itta thee Then Ilangayile ! Annai Itta Thee Adi Vayitrile ! Yaanum Itta Thee MooLgave ! MooLgave !! I had been thinking this was a Vairamuthu Feat Kamalhaasan work.. Only today I learnt that this was a Pattinathaar Plagiarism. However, the Tamil in the movie was Exuberant. I dont find an Actor in the Tamil Industry who can talk Tamil in Kamalhaasan's standards. "Pennai Nambi Pirakkum Bodhe, Thoppul Kodigal Arupadume !!" - ask Vikram to recite that. Duh ! Audience please grow up. Stop ranting lame excuses like "I go to movie to relax.. i want total entertainment.." If Tamil Audience wont grow their Carts to accomodate more Generes, Tamil cinema will suffocate with just simple Love stories, Anti-heroes and Psychos. I really pity the feelings of Kamalhaasan. Imagine an Artist who has created a masterpiece, and his people are not capable enough to appreciate his work. We Only use their names to defend our talent.. "Tamil cinema people like Kamalhaasan and Maniratnam are world class.." .. Only the world doesnt know they suffer from "Only-name-no-money" disease. When CHEAP movies like AADI are running for 150 days... Why did Anbe Sivam go mute ? Every single person will accept Anbe Sivam was a class movie. Kannathil Muththamittal got only the name.. not the money ! Ennavo !! Uruppadaaama Ponga ! This post shows how you felt on good movies not doing great at BO. I also accept your words. Really ANBE SIVAM is a great movie, and having things as different. BUt you can't expect the people who is working in lands to accept and understand the fact. You know, when I see Anbe sivam, everytime I noticed many new things. How can you explain all-levels of people..And you has to accept that Kamal movies are liked by A Class movies goers, who are going to see movie as a movie, not as a entertainer. And Even Thevat Magan had good BO records, where he portrayed the things much better than all other same kinda movies. So you can't tell that people are not acceptiung changes in cinema. They understood and made that a biggest hit. its mass atitude, they don't prefer serious, or art house type cinema,more importantnly meangingful cinema and considering they are the ones who rake in the kaasu, cheap movies always tend to score over class. or people can be plain dumb to not understand teh subtlety of a great movie like anbe sivam! 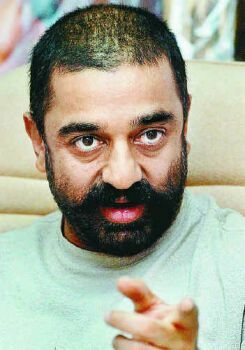 ref to Kamal, i have this notion that, he scores over Shivaji G, or any actor we've had! wonder why people despise his realistic portrayal or even the artist's vision in his films! his comedies aren't great, but sad that's what the amss likes. but am sure, those who like good cinema, would porefer to buy a home DVD and watch those class movies at home, rather than spend time with a crowd at the theatre, which will do everything but watching the film or let u watch teh film! i'm one of those cases who prefers that! and money yes! too hard to get money if your film is class, irony of it! been following ur blog[s ] for quite sometime. really like the photos/pictures you post. enakkum puriyalai keerthi..Sathiama..Anbe Sivam eppo parthalum pramadhama iruku..! I remember 'Sathya'. I loved it..and it flopped.!! Athi, seruppu, Lungi, porukki, jetty..pondra padangal vettri peruvathai paarthal....Kadavule.!!! I don't think Aalavandans story was very complex, in fact it was another run of the mill script and the only new thing was the Hallucination part. It flopped cuz it was Boring. Btw, no amount of technology can save a film, remember Boys, Nayak? Well keerthi..I remember after watching alavandan with some of my friends and when i came out I said "Thats a nice movie"...and I noticed others looking at me strangely as if I had committed a grave mistake by saying that. They thought I was vouching for kamal's movie being his fan. But I found nothing wrong in that movie. Well that graphics (cartoon) was not that bad. Probably it was a negative hype created by the media. I was surprised that the movie ran for almost 3 weeks in Muscat. Hmmm I hope VV doesnt turn out to be one such movie. As you said "EPPO VARUVaro namadhu kali theerka"
Majal veyyil and Karka Karka rocks. they are getting educated in good cinema! if only kamal were 10 years younger.......hmmmmmmmmm! Even I'm a big fan of Kamal. He is indeed a Sakalakala valavan! Multi-talented & class acting ofcourse. But I guess hes not so popular cos of his attitude probs. AFAIR, Vairamuthu wasn't credited for that line! The film, IMO, wasn't really good. very well said keerthi, u stole the words from my mouth. i can understand ur feeling, kamal has given us so many great movies, which our audience have not understood, and hence it has become flops, one good example is Hey Ram, great movie, but was a bigtime flop, and lot of moneyloss for kamal. hopefully, atleast the youth start appreciating this class actor, instead of going behind simbhu, and vijay. kamal mari inime oru actor porapara inbathu sandhegam. "When CHEAP movies like AADI are running for 150 days... Why did Anbe Sivam go mute ? Every single person will accept Anbe Sivam was a class movie." nice punch. i m a rasigan of padmashre so i named my blog with the title of his film. idhu ellam irukattum, neenga ellam indha 'Aadhi' madhiri padangal ellam parka maatomnu oru sabadham edungappa!!! Kamal, i think Hey Ram was one of the best movies by one of the best directors in Tamil Cinema, but then again, avlo peru andha padathai theatre la 2 dhadavai parthadhu? i am asking only those who saw the movie and liked? Keerthi, you are writing as though no class movie made it big in the recent past. Kaadhal & Pithamagan, IMHO the 2 best movies we have seen in Tamil in the last 4 years, were huge box office hits. May be, one way we can make movies like Anbe Sivam profitable is buy original DVDs of such class movies and boost the marketability of their DVD rights. filbert, u have to understand, kaadhal & pithamagan were hits, but it is no where close to the movies kamal has acted in. kaadhal was a hit for its simplistic approach, and that sad ending. Pithamagan, is overrated. Just because Vikram didn't speak a word, and can't communicate like the other humanbeings, that made it a hit. was there anything great in his acting, its was ok, infact surya acted better than vikram in that movie. But, kamal puts so much effort into his movies, not only talent, but also money. Hey Ram, Satya, Guna, Alavandhan, Mahanadhi, requires a certain level of understanding, that people do not want to spend time understanding. They want to watch something that entertains them. Ask someone if they understood Hey Ram, most people in the public will not know. they suffer from only-name-no-money disease-aa? serious-aavaa? Yes, like someone already said, Kamal is way too ahead of his times(like his Guru, KB) and people without even trying, stamp him 'medhaavi' and suddenly become the common man to join the "can't understand" group. Leave 'Anbe Sivam', 'Hey Ram' and the like. I was shocked to know only recently that the classic MMKR was not a big BO hit! But now every blogger has listed it as his/her favourite!! And every other superstar wannabe does a ulta of his old movies and becomes a big name!! Onnum puriyaama neyraya padam Odi irukku... Yet, Anbe Sivam wasnt any complex to make one difficult to digest and understand the movie..
Ramses, Or how to call you ? Thats my Vayitherichahal.. People say Cheran is acting realistically.. What the heck !! And Home DVD is something that will take a long time to get into the soil and blood. >>Athi, seruppu, Lungi, porukki, jetty..
LOL... Kalakkitteenga.. i couldnt control my laughter on the sequence..
Solla mudiyadhu, Ilaya Thalapathi nadichaalum nadippaar ! Of course, not just technology.. Jeans wont deserve that.. But Aalavandan had technology supporting the Story line. Pattellam nalla irundhudhu !! hm. June 9th varraar, kavalai vendaam ! Ha ! Ha ! Chandramukhi isnt that bad, anyway !! Ahead of Time ellam Kidayadhu ! We still have audience who likes the "Arachcha Maavu".. thats the audience's problem ! Attitude Problems.. ? He is a little Egoistic, and he deserves to possess ego.. He cant die of simplicity ! Plagiarism was just a seasonal Nayyandi :) But I dont think Pattinathaar was Credited like how Srivillipuththur Aandal was in Hey Ram.. Aalavandhan wasnt good ? Buddy, if you are in chennai.. lets watch the movie again at home.. Im sure you'll love it. Nitin, What does Nitin mean ? Kamal madhiri Innoru Actor Pirakka maattar, unless people learn to appreciate the living legend ! YOU DONT LIKE AALAVANDAN ? WHATAAAT ? Vaazhga Valamudan.. How about renaming it to "Kalaialangaaram", a good name he mentions in VRMBBS. Good Point. Repeat Audience.. And about the movies that people deserve, Noothula Oru Vaarthai ! KADHAL and PITHAMAGAN are Class Movies ? KADHAL is a simple-straight STORY, low-budget and less-interesting movie.. What makes it a class movie ? PITHAMAGAN is ,as Nitin says, Overrated. I dont bring to memory any class movie that made a stir in the Box Office. aamampa aamam !! They are Rich.. adhu vera vishayam.. But Money out of movies ? Like i told to someone else, Kamal is not way ahead of his times.. Infact, a little back-dated, i would say.. compared to global standards.. Only the audience need to keep up the pace. 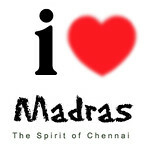 I have to apologise to you as I stole this URL and pasted in Kamalhassan community in ORKUT. I can see some member here. By the way, i would like to dispel one myth/false propaganda here. Kalai POONAI S Dhanu was crying that AV was a big loss for him, while the truth was, he lost big time in Hindi only (avasara kudukai madhiri Aandavar pecha kekkame he tried to sell it himself in hindi) . Its the distributors and exhibitors who suffered losses in TN. Aalavandhan was technologically superior? You must be really joking! Remember the awfully, shoddily shot climax with Nandu falling down to a gas cylinder station, cylinder bursts etc? Very very badly executed. They did use the motion picture control camera but here again, in parts where both kamals meet the degree of placement and the look of both kamals were not proper. Kamal senior would look 110 degrees to his right @ kamal junior where the latter would be sitting @ 130 degrees. Bala, Im going to take the statement you said as truth. I know many people who hate Kamal because of Aalavandan's failure, and the loss that occured to Kalai Puli Dhanu.. Im going to defend any of those arguements with your statement. Mikka Nandri.. And by Aandavar's standards, Aalavandan is a very high movie. Blogeswari, Im leaving to my native now.. I will give you a detailed reply on Monday.. :) Do check back then. or leave your email. Azhagi - It subtly dealt with a topic close to many people, that of their childhood love. Excellent characterization and of course very realistically taken (especially the village scenes). Autograph - It had a very different form of storytelling and of course a unique climax. It breaks many Tamil cinema stereotypes like "Love comes only once", or that of performing sacrifices unnecessary to both parties. Kadhal - First point is that it is ofcourse realistic - very realistic. And i dont think it is boring (nor have i heard anybody telling so). Seen from another angle it highlights the backwardness of south T.N (which some other movies have also done) and demystifies the romanticism of juvenile love and eloping (propagated by some mediocre movies). BO success depends on many other factors other than movie quality and we can't generalize that mass audience doesn't appreciate good movies. It is of course very unfortunate that even good 'light' movies like "Anbe sivam" didnt become a hit, but then things don't always have a reason! Just because a movie was made by Kamal or Maniratnam or Spielberg we cannot say the movie is good. All of them has their own share of good and bad movies. One thing is true as you mentioned sometimes good movies doesnt make an impact and bad movies makes an impact but it cant be generalised. Anbe Sivam, Mahanadi were good but not Alavandan or Hey Ram.